Insurance for women from Miway do it your way all the way. 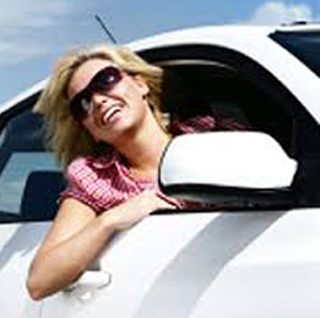 Miway insurance for women believes that its MiDriveStyle plan is a great women’s policy. You receive a quick response if you run into car trouble. The Miway Insurance company is one of South Africa’s latest entrants into the direct financial services and insurance industry. It believes this gives it the edge in the age of technology. Miway is the first South African insurance company to provide clients, men and women, with the option to buy online. The people at Miway believe in quality customer service and simple to follow products at great prices. Insurance for women and what’s on offer from Miway? Miway Insurance provides a central policy which covers car, household contents and building insurance plus all risk cover. The plan covers all the items we always take with us when we leave home. There is also a cover that includes Motor Warranty, 4×4 Motor Warranty, Credit Life Insurance, Credit Shortfall, Personal Liability and Personal Accident Cover. They believe that the client must manage their risks. By doing so, it helps to provide low premiums by reduced admin and marketing costs. The longer you stay with Miway, using more products and not claiming, the more you benefit from their rewards scheme. As long as you pay your premiums regularly. Miway rewards their clients with the potential to earn points which can be spent on any of their featured rewards. The MiDriveStyle policy benefits the holder by taking into account the way she personally drives. And not on the way average people drive. This means you are not paying for bad drivers, therefore your premiums are reduced. MiDriveStyle also includes a vehicle tracking system which is active all the time. The tracking system alerts Miway if you are in an accident and will send out emergency services, it will also alert you if you leave your lights on and your battery is running flat! Get free Life insurance quotes online and compare prices.